My interest here lies with Gunta Stölzl's use of colour and use of pattern. 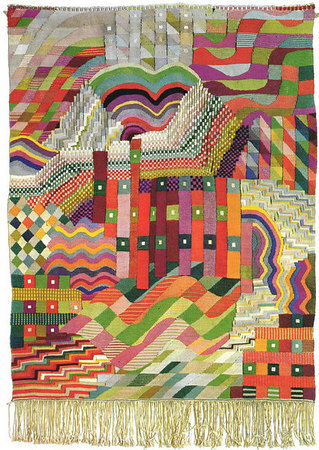 She was a German textile artist who was instrumental in the development of the Weaving workshop, (originally referred to as the Womens department) at the Bauhaus. She admired and was influenced by Paul Klee and Wassily Kandinsky, both teachers at the Bauhaus.